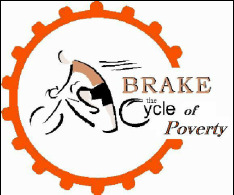 ​Brake the Cycle of Poverty is a faith-based Social Justice mission born out of a commitment to increase poverty awareness in the United States and, in particular, throughout the state of Connecticut. The team cycles each year in response to invitations from community groups and faith organizations across the state who are interested in this advocacy mission and in learning more about the experiences and commitment of this group. 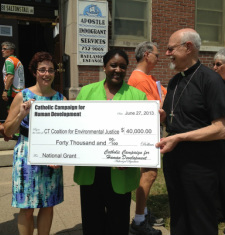 During the ride, their goal is to advocate for equitable changes in Connecticut's social welfare systems. The CCHD Committee works with Lynn Campbell, the Archdiocesan CCHD Director, to identify and oversee local grass-roots projects that meet the critieria for National CCHD funding. 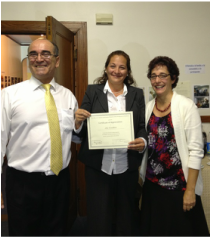 In addition, they work closely with other local groups who apply for the local CCHD grants managed by the OCSJM. Committee members must be approved by the Archbishop of Hartford. For assistance or more information, call OCSJM at (860) 242- 5573 or contact Lynn Campbell. 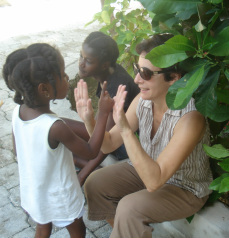 The Cooperative Parish Sharing program collects voluntary donations from parishes across the Archdiocese and distributes the funds in the form of grants to eligible parishes who submit applications for special projects that will meet a particular social justice need of their parish community or neighborhood. The CPS Committee encourages and assists in the development of grant applications, screens applicants and distributes grants to worthy projects. Committee members must be approved by the Archbishop of Hartford. The Global Solidarity Leadership Team offers resources, leadership training, advocacy, relationship-building strategies and other supports for parishes in their global solidarity efforts. For assistance or more information, call OCSJM at (860) 242- 5573 or contact Mary O’Brien. The Hispanic Ministry Team works to empower leaders within the Hispanic community, and to encourage dialogue and advocacy among Hispanics and others around immigration reform, equality and human dignity, and social justice issues in marginalized communities. For assistance or more information, call OCSJM at (860) 242- 5573 or contact Arturo Iriarte. 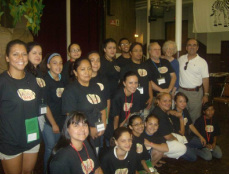 Initiated in 2010 to honor Auxiliary Bishop Emeritus Peter J. Rosazza, the annual Bishop Peter Rosazza Social Justice Conference gathers leaders and advocates from across the Archdiocese for a day of learning, prayer and conversation around current social justice issues. The Committee works to choose a conference theme, identify speakers and to organize and implement this important event. For assistance or more information, call OCSJM at (860) 242- 5573 or contact Patrick Laorden. The Laudato Si' MInistry Team participates in the promotion of the encyclical's message through recommending diocesan-wide action steps, planning regional sorkshops and providing parish consultation.